Tips on Easy-to-Do Printable Christmas Gifts | TonerGreen - Eco-Friendly Toners from the U.S. If you are one of those people who cannot seem to solve the problem of finding the right Christmas gift for this Season, well you’re not alone since almost everyone can just feel so excited and thrilled about buying gifts that they find it hard to choose the right present. However, did you know that you can actually make your Christmas present with just your own printer filled with remanufactured laser toner cartridges or ink cartridges? 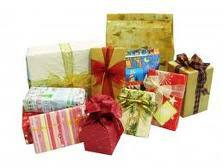 Yes, the printer and its printer supplies can help you with your Christmas gift problem. Here are some of those Christmas ideas that you may want to try. First, you may want to create a traveling guide or map for your buddy who just loves to visit different places. All you have to do is search online for pictures and information on your favorite places then use a photo editing program to put together what you have gathered. Now, click that “Print” button to make your own version of a traveling guide. Just be sure to use the right printing preference before finally printing the file to avoid doing it again and wasting your printer inks or toners. If you do have to make reprints, make sure to recycle to copies you won’t be using. You can also try making a calendar for your family. Add images like family pictures, events, or your pets to each holiday on that calendar to make it look really special. You may also include quotes for each page of the calendar to add wordings and designs. Be sure to use good paper since a calendar must last for the whole year, then use your best available printer for this project. Don't worry about having to spend more on your printer inks or toners because as long as you are using remanufactured printer supplies, you'll still be saving money. Now, that you already know how to make some easy-to-do Christmas gifts with the help of your printer, you may want to try out one or both for your presents. After all, it’s always best to have that personal touch on your presents especially this Christmas Season.